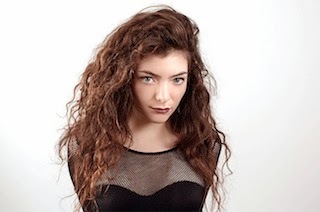 Lorde is featured on TIME's list of the 25 most influential teens of 2014 list. The list also features entries for musicians Jaden Smith, Austin Mahone and Becky G.
Lorde's inclusion is explained as being down to her "inescapable smash-hit 'Royals'" and forthcoming work curating the soundtrack to The Hunger Games: Mockingjay — Part 1. She is also cited as a role model who promotes healthy body image.